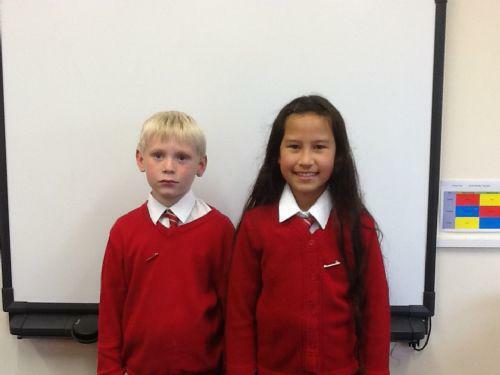 Well done to everyone who 'Made their face funny for money' today, we had some very funny faces in school today. As a school we have already raised over £100, so thank you for supporting this worthwhile cause. 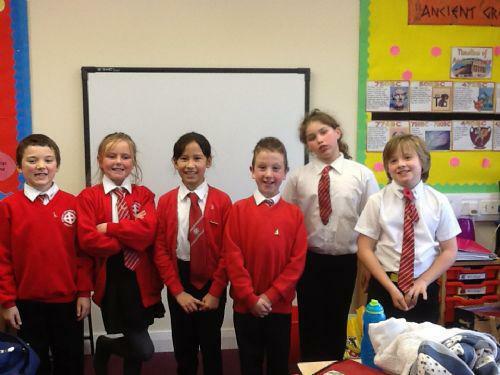 This week a number of the children have worked with Radie club, to produce a CD of their funniest jokes. These are now on sale for anyone who is interested in purchasing one. 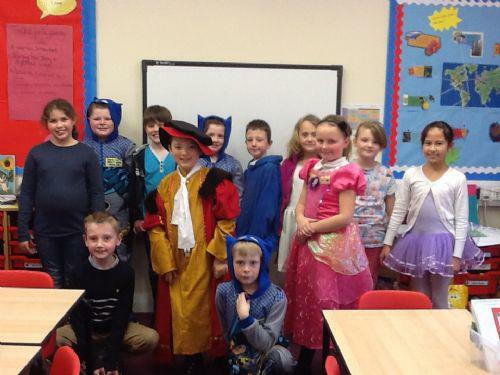 Last week many of the children dressed up to celebrate World Book Day, as you can see from the picture above! I hope you have all used your book vouchers to buy something exciting to read! We are well into our topic 'Fabulous Food'. As part of our topic, we have been baking different types of bread, which has made our classroom smell delicious! We have also been thinking about where our food comes from and how far it has to travel to get to us. Please see the sub-pages below for this half-term's class letter and planning overview. This week we have also visited The Holiday Inn, Taunton, where we were food critics for the day. This was a lovely experience for the children, as well as eating lots and lots of yummy food, we also talked about our favourite foods and have followed this up with activites in class. Have a look at the gallery below to see some of the pictures from the day. 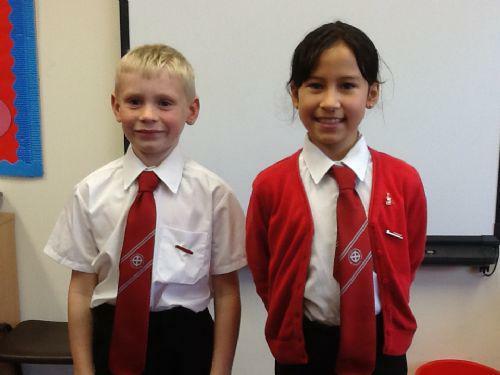 Literacy - the children have all been given a 'space-themed' poem to illustrate and to learn by heart. We will share these next week. 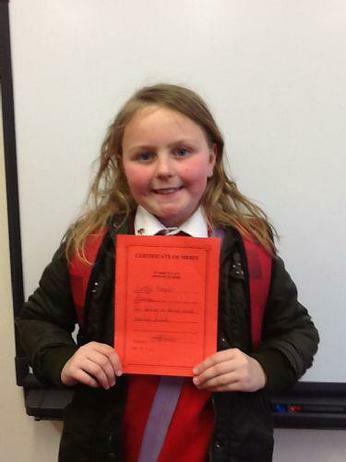 Well done to Lottie for receiving a merit certificate in our celebration assembly this week. Keep up the good work.